Laser Skin Resurfacing is a non-invasive cosmetic procedure which uses highly concentrated light energy beams to improve the tone, texture and appearance of the skin. The laser is projected into the treatment area and the energy causes the problematic cells to heat up and break down into a substance that can be absorbed and discarded through the bloodstream. Although the flaws are generally on the skin’s surface, the laser energy will heat the tissue under the skin to increase collagen production and improve the overall skin texture. Laser skin resurfacing is an outpatient procedure so anesthesia is usually not needed. When treating parts of the face around the eyes, mouth and forehead, the procedure is relatively quick. The doctor will numb the treatment area with some local anesthetic and the procedure may only take 30 to 45 minutes. If a patient is having the whole face treated, more extensive preparations may be needed since general anesthesia is often required and this type of procedure can take up to two hours. There are different types of lasers used and the two most common are ablative lasers and non-ablative lasers. The best laser application will depend on the patient’s goals, skin type and the condition of the skin issue. 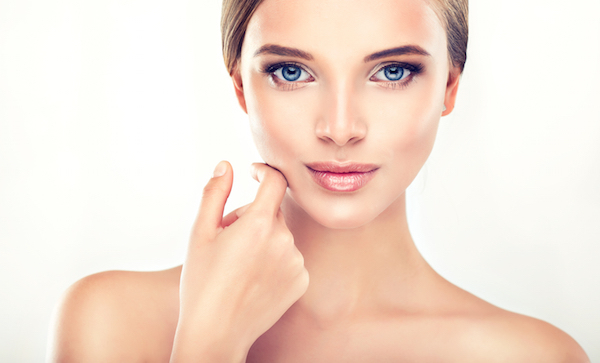 Ablative lasers remove the outer layers of skin, layer by layer, and encourage new skin to heal in its place. The doctor will determine how deep the laser will penetrate by the wavelength of light. There are different types of ablative lasers but many cosmetic doctors use fractionated lasers which only remove a fraction of the skin in the treatment area. 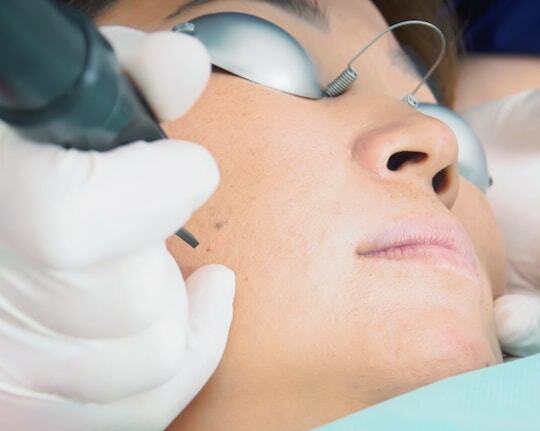 Fractionated lasers permit the laser to safely penetrate deeper layers, while leaving the neighboring areas untouched, in order to promote better healing with minimal downtime. Non-ablative lasers do not mark or remove the outer layer of skin. They heat the skin below the surface and encourage new collagen growth. This will help to gradually restore the skin’s natural firmness and tone. This type of treatment requires no downtime but is limited in what it can treat. It may take several sessions to gain the best results. These side effects can be minimal, or more severe, depending on the treatment type and the patient’s ability to heal. It can take 2-3 weeks for the side effects of ablative lasers to heal. The doctor will instruct the patient on how to cleanse and protect the treatment area for proper healing and the best results. Knowing what to expect with laser skin resurfacing can help patients decide if this type of treatment is best for them.